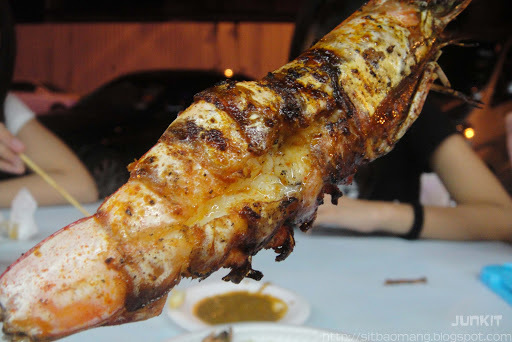 Continuing from the first post, the 2nd post aims at much more 'newer' food founded. Surprisingly, these newer outlets suddenly become must visit places around Melaka. Tried a few of them and well, a few of them are really recommended. 1st stop, some lunch! 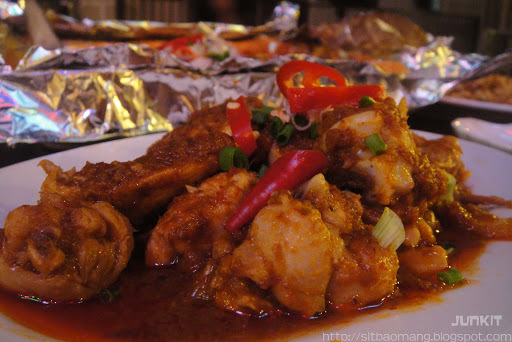 I really like Donald and Lily's Melaka and Nyonya cuisine food. 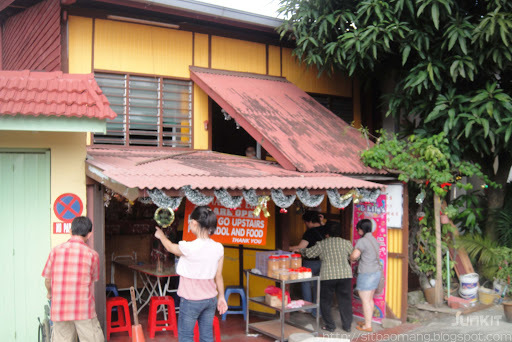 Situated in a simple wooden shop, their Nyonya Laksa, Ayam Pongteh and Melaka styled rice are really recommended. People are constantly flocking in and queues are normally seen. We arrived a tad too late, and was disappointed as they ran out of their famous dishes. Too bad, next time perhaps! Anyway, their other 'simpler' dishes tastes similar but with a twist, while the simple styled cendol is really good and creamy. The Mee Siam (RM3), pre cooked. Was alright. 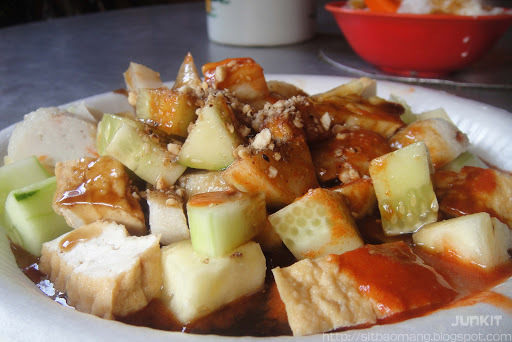 Tau Kua (RM5). The crackers are good.. The creamy and cooling cendol (RM2.50). Simple yet satisfying. 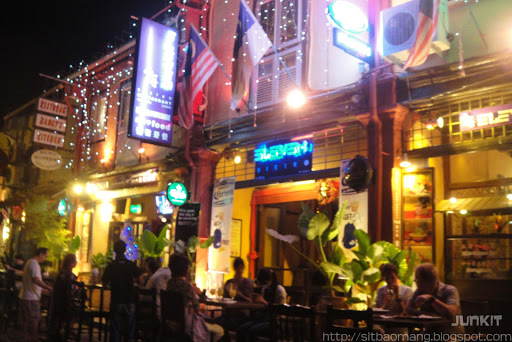 Address : Behind 31 Jln Tun Tan Cheng Lock Chinatown(Heeren Street), Melaka, Malaysia. 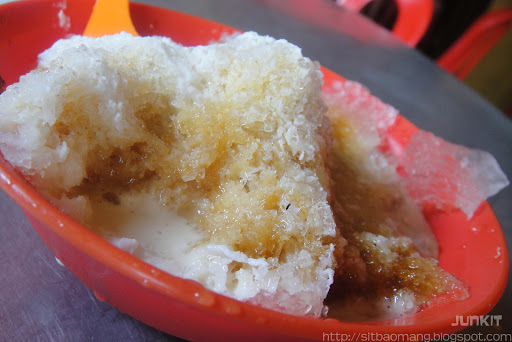 For some good old traditional snacks/desert, there's this famous Putu Piring located at Tengkara. People actually buy Putu Pirings here in bulks! 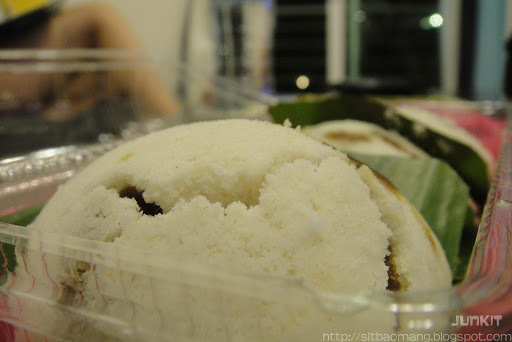 Smooth and fully loaded Putu Pirings (RM0.90 per piece) with coconut fillings! 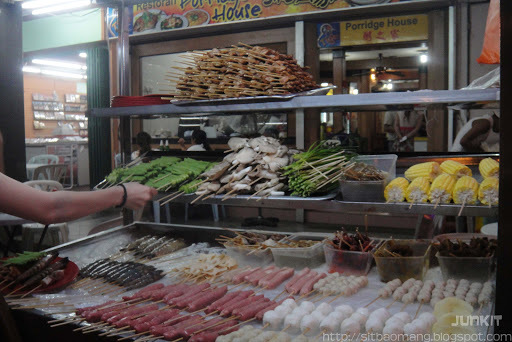 Putu Pirings on the go - the shop is actually a front area of a house. 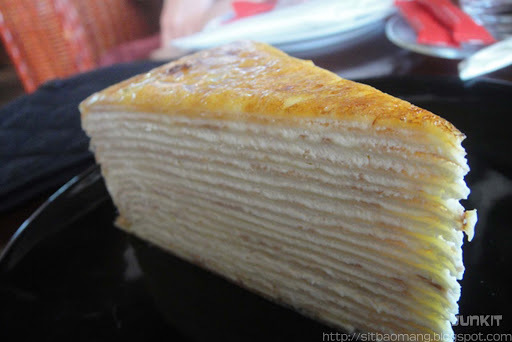 There's also another place for some good tea time hang out spot that serves really excellent Mille Crepe, or so called the thousand layer cake. 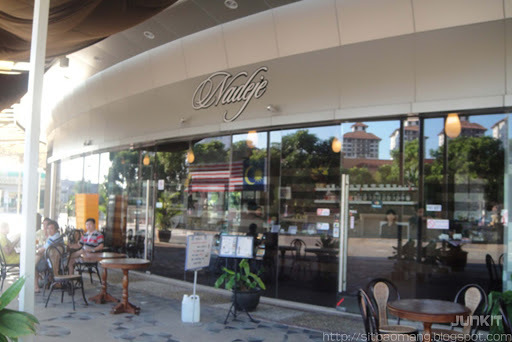 I think Nadeja Cafe creates the best Mille Crepe I ever tasted here in Malaysia. Plus, it's easily located; at the top of Datarana Pahlawan has it's plus points. The cakes are really creamy and smooth, with the dozens of layers creating a very playful interesting texture. 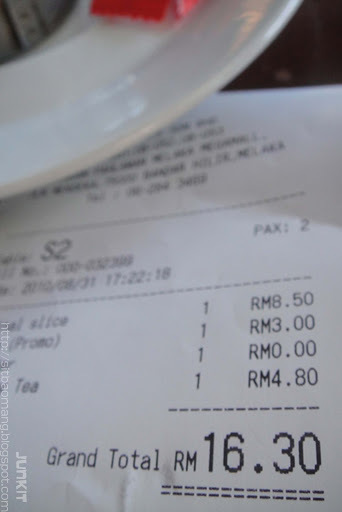 Our fav - the Original (RM8.50). This was actually the basic normal vanilla based flavor. Tried others but still remains my favorite as it's not too sweet. There are some really special flavors like Oreo, Chocolate and some fruit based ones. A lil pricy for a slice, but all's worth it! Many thanks to the girlfriend's sis for pointing out and showing us the place! 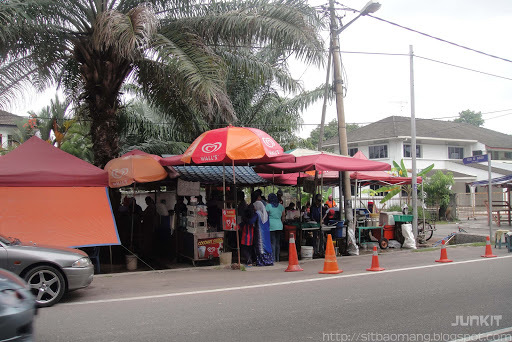 On our way to the girlfriend's relative house where we stayed in Klebang, we noticed a certain stall that is constantly overcrowded and in queue. Being the curious me, I pulled over my car after the 3rd time noticing it and went over to look. 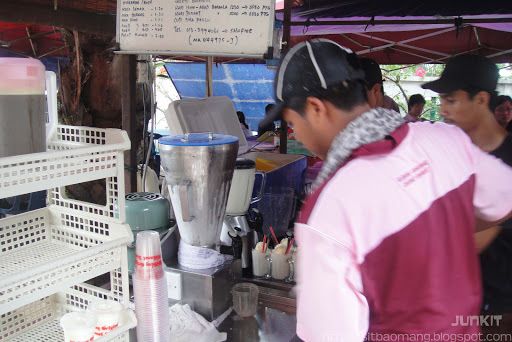 Turns out, this stall - Klebang Original Coconut Shake is famous for some coconut based concoction - namely the coconut shake! Very 'Malaysian' style, and the skeptical me look around and found out locals made up the queue - well common sense, the place was really hidden and without and advertisement or so! The stalls - which are manned by our Malay friends did an extremely good job on preparing the concoction. I noticed they precisely estimate the quantity for the exact taste. Few scoops of Wall's vanilla ice cream, some fresh coconut juice, ice cubes and sugar! Stall, crowded + tastes good = profit! The verdict? A YES! For RM2.00 (add RM0.50 for ice cream on top), it's definitely refreshing, mainly thanks to the sweetish coconut. The icy cool blend of icre cream and ice cubes definitely made the old styled coconut juice into a newer drink. I actually enjoyed this on a pool side with a newspaper on the other hand. Awww..
For dinner, I recently came across Eleven Bistro at Jonker Street which serves Nyonya food. I really like the environment here which is pretty comfortable. I preferred to sit outside just to chill out, have a drink or two and some meal; all while observing the different walks of life. It's rather hard to find these kind of environment back in KL - within certain budget; yet still not overcrowded like pubs or clubs. We had the Butter Squid (RM12 - Small). 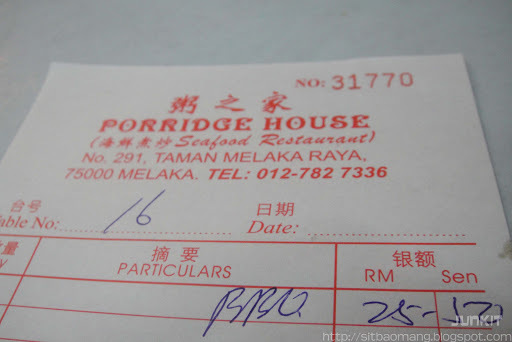 This was really just ok, and I think reason being was it's not really Nyonya food. To me, the squid lacks in enough flavor that is needed to bring the else naturally bland tasting squid. 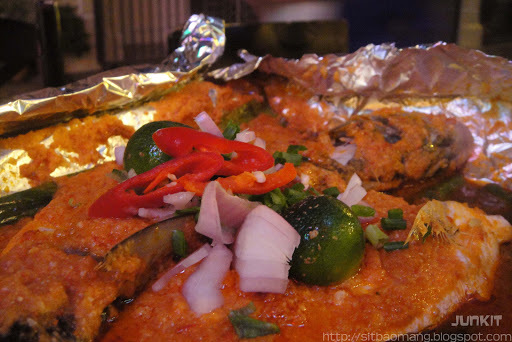 Portuguese Special Baked Fish (RM 35-45; depending on size of the day - ours was RM45). Well, first off the chili gravy was really different, can taste the blended spices in it due to it's texture; and the added onions and lime really brings out the fish taste. The girlfriend really likes this fish, and I too think the fish really goes well with the gravy. Comfy and quiet. Really a great spot to have a drink or two outside while being serenaded by some good ol' Jazz musics. 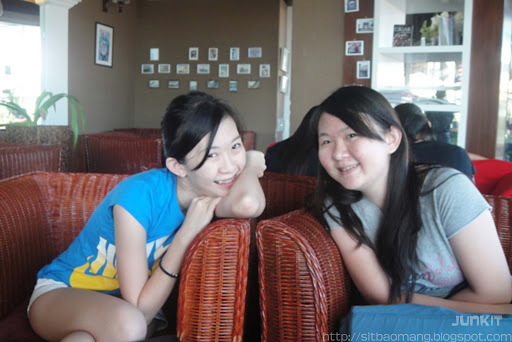 Address : 11, Jalan Hang Lekir (Jonker Walk), 75200, Melaka, Malaysia. Well, for supper, the only new place that I would suggest for a try, is the new bbq shop which is located outside of Porridge House at Taman Melaka Raya. I wouldn't say it's really really good, but it's does have it's fan base of locals and clubbers (clubs located nearby). People come here mainly for it's barbecued chicken wings, which is well, special on it's own. You choose your items over a cart fully loaded with ice and it's freshly barbecued. Something like lok-lok but barbecued. 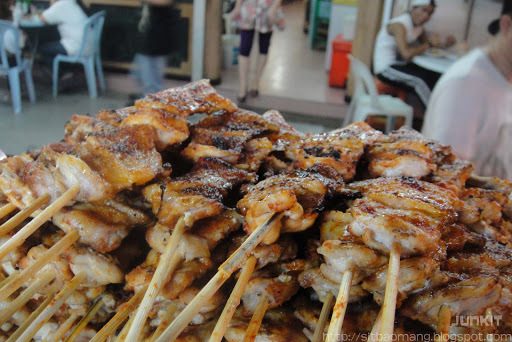 The chicken wings (around RM2.50) that are actually deboned and cut into pieces; which I say why it's rather special. In terms of taste, it does feels more tender as it's better cooked. However, given the price tag, I would preferred the normal ones, though messier. 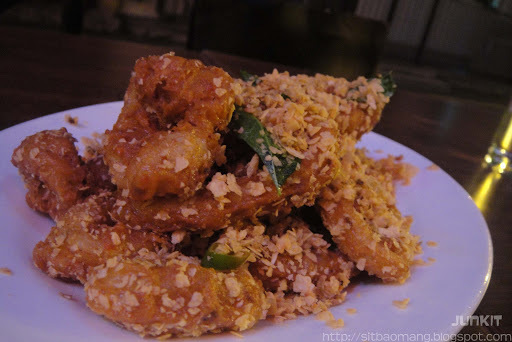 The large prawns (RM8) ala Capitol Satay Celup. It was fresh, but rather expensive. Our fault though as we did not enquire the price on first hand. But nevertheless, it's still good as it's length is around the size of my palm. Fresh and large! 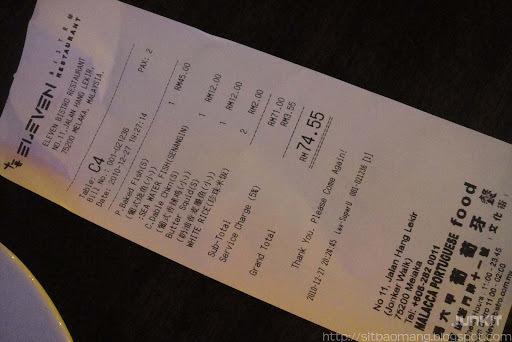 A simple BBQ supper for 5 of us eating on average at 2 sticks per person costs us around RM25.50. Not that bad if you ask me for some less heavy supper snack. 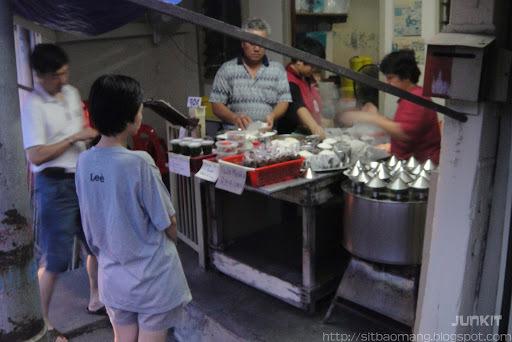 So that concludes my opinions on the old and newer best food joints that one can find in Melaka; continued from Part 1. Of course, it's merely my opinions that I found during the time I tested that suits my palate. Over in time, I really hope to add on more places during return visits. Happy Exploring and Eating! 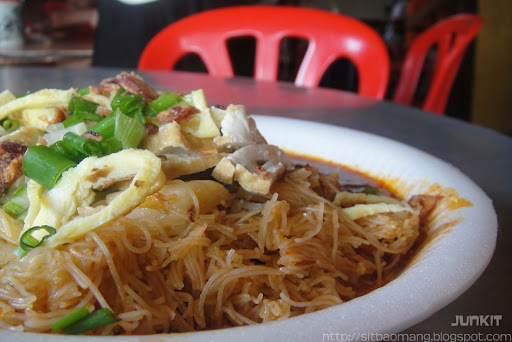 Hi,i just want to share some thought with you ...If you are a Laksa Lover then Probably you may have tried the Rest and now it's time for you to try The BEST Laksa at BESS Kopitiam while you are here in Melaka,Malaysia. GPS Coordinates : N 02°13.031' E 102°15.979' or N 02°12.59.6" E102°15.57.9"
PS : I'm Not a SpamBot or whatsoever ...i'm a Real Human Who love a Jazz Songs...Lolz.